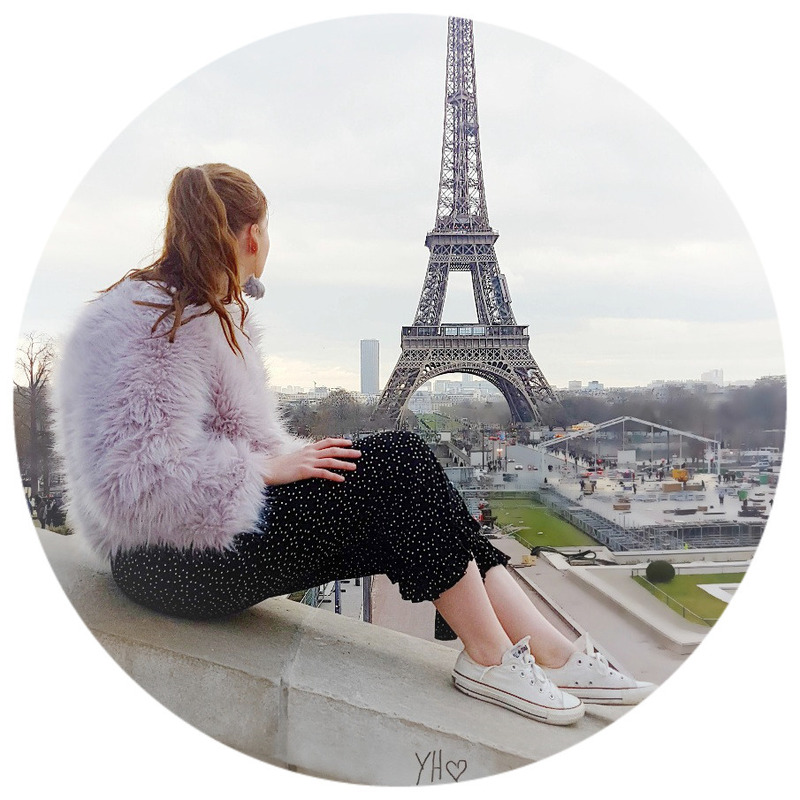 Today I wanted to share with you all a little secret (not really but lets pretend!) that I recently discovered when guiltily browsing online. Okay, first things first if you get the emoji 'heart eyes' over anything rose gold, pastel coloured, dainty and dressing table displayable then (you have good taste) but you should also consider owning these! Ted Baker over the Christmas released these (among several other lovely products) fragrant fancies - which I recently discovered were reduced half price! Santa Claus aka my mam so kindly got me this set for Christmas which I was super excited to receive having circled this in the Boots magazine months before - fingers crossed that I would receive them. I annually receive a Ted Baker set every Christmas but 2014's range in Boots is the best so far for design and packaging in my opinion. Can we all just take a moment (or two) and appreciate how beautifully designed this Ted Baker set is. I am obsessed with these perfume bottles they are so dainty and eye catching. Rose gold designs, pastel colours, packaging designed into a house what is not to look twice at seriously?! It has came to my attention that these beautiful perfumes are currently at half price (£6) online which is a bargain! 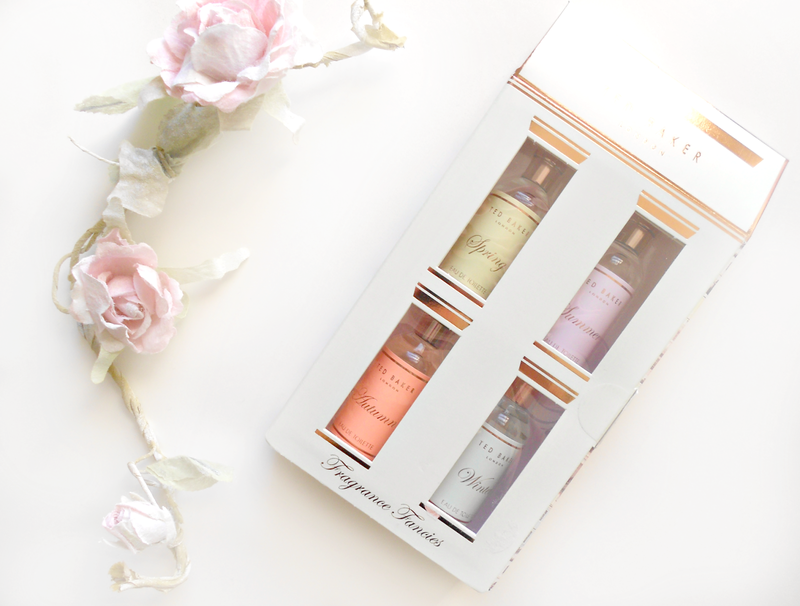 Four miniature sized perfume bottles for £6 from Ted Baker is definitely something you want to get your hands on as Ted Baker as I am sure you are all aware can be a tad pricey. This stunning selection of four seasoned Ted Baker fragrant fancies smell lovely and look beautiful on your dressing tables! I think these will also make great handbag staples to keep you smelling fresh all day long. Regarding the scent I can't really comment on 3 of them because I am keeping those for the appropriate seasons of course! but, the winter bottle smells very (make way for the bad desciption!) musky, a little sweet and very mature but in a nice way not too overpowering. Definitely a one I would continue to use in the colder months rather than summer. I would definitely recommend picking some of these up even as gifts to someone else or savor them for someone this Christmas coming because Boots always change the designs of Ted Baker sets every year and this lovely design we will shortly be saying farewell too! Are you loving these fragrant fancies?? Yeah agree that Ted Baker's 2014 range was amaze! So pretty! I am excited for this years collection now! Such an amazing range! I know they are stunning! I know Boots now have a 75% sale but whether these are available for £3 is a mystery! These are so cute! The packaging is so lovely, Ted Baker never ever disappoint! I agree I always look back on this post and think wow those are pretty little bottles! Oh what a lovely idea! Well done Ted for coming up with another lovely product. Beautiful packaging. Your photos make me want to buy them! haha. I bet spring and summer would be my favourite scents! Your Mums Santa??! I love everything Ted Baker makes, they can do no wrong in my eyes and that packaging is just so pretty!